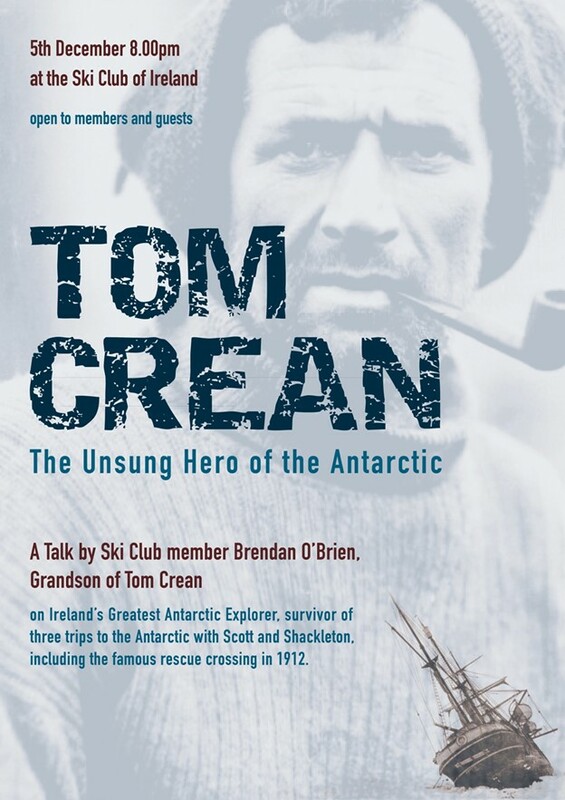 This is sure to be a fascinating talk by Brendan O’Brien, grandson of the great Tom Crean, Irish Antarctic explorer. This will take place in our fabulous new clubhouse with teas and coffees to make us all comfortable. More details on this fantastic opportunity to hear one of the great adventure stories will be sent to you shortly, but please let us know if you intend to come along.